You have a decoder that you want to use? Visit your nearest MultiChoice Walk-in-Centre or agency to perform a change of ownership process and start enjoying great entertainment! Proof of payment from where you bought the decoder. Proof of identification via a copy of ID, driver’s licence or passport. You can print out the Change of Ownership form and bring it already completed or you can complete the form when you arrive at your nearest service centre or agency. The current owner of the decoder will need to settle any outstanding amount before the Change of Ownership process can be completed. A completed change of ownership form (download the form here or get it from one of our service centres or agencies). Once all of this is done, you can activate your new (slightly used) decoder and enjoy watching DStv. Your late family member’s account will have to be closed, the decoder deactivated from their account and then linked to your account. If you don’t have an existing account we can easily open one for you. Why can’t I take over an existing DStv account? MultiChoice enters into an agreement with the customer who accepts the terms and conditions of their DStv account. 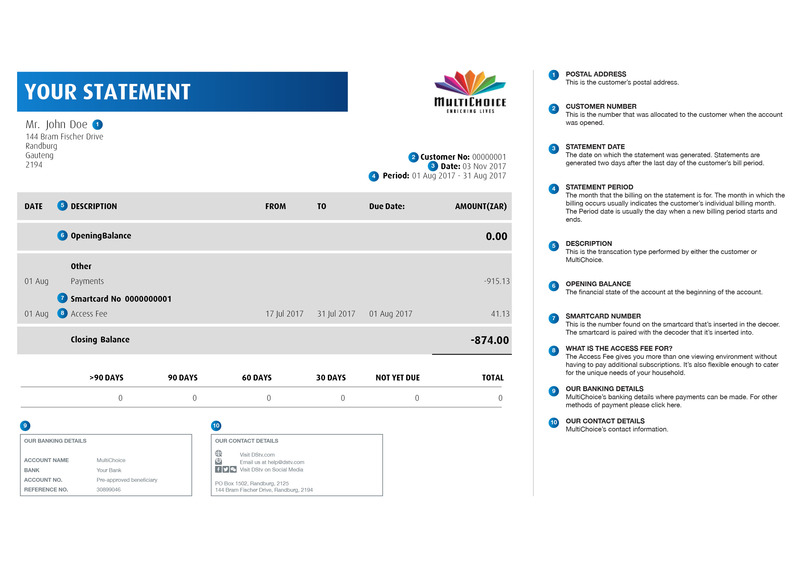 Each DStv account is unique to a customer as it is representative of the agreement that the customer has entered into with us. Decoders can be moved between customer accounts via the change of ownership process. Why are documents required to do a change of ownership? The consent of both the previous and the new owner is required before we move a decoder from one DStv account to another. Proof of identification of the new owner is required as reference, in case there are any questions from the previous owner in the future. Proof of purchase is required when a customer buys a decoder from a pawn shop, to ensure that we don’t activate stolen decoders. By law, a letter from the executor of the deceased estate is required to change ownership of possessions.